A group of selected business leaders were treated to a chartered champagne flight over Cornwall yesterday as part of a product launch for a new ecommerce system developed by local web developer, UKNetWeb. Representatives from Cornwall Development Company, Cornwall Council, Air Southwest, Business Link, Outset Cornwall and Oxford Innovation joined a selection of private sector businesses to hear more about the new ‘Augeo Ecommerce’ framework. Talking at the event, Toby Parkins outlined how the framework differed from current solutions available on the market, followed by short supporting talks from strategic partners, Rob Edlin of Niddocks Internet Marketing and Aren Grimshaw of Tonick Media. A keynote speech was delivered by Carolyn Rule, cabinet member for economy and regeneration at Cornwall Council, who used the opportunity to talk about the wider benefits of growth in the digital economy on Cornwall’s overall economic performance. 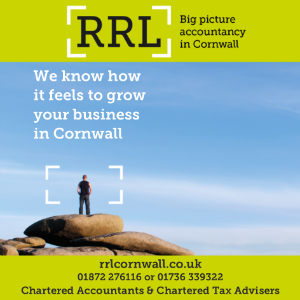 She said: “It is absolutely fantastic to see how this product developed by a local company is helping other Cornish businesses to grow. UKNetWeb is living proof of how local companies can thrive and help other businesses expand through innovative use of digital technology. Commenting on the launch, UKNetWeb managing director, Toby Parkins said: “We wanted something different to launch what we believe is a totally new type of ecommerce system. Taking our guests to new heights in such a direct way felt like a great way to show exactly what Augeo can do to the red line on their profit charts. “We had used Air Southwest and Newquay Cornwall Airport in the past to visit some of our clients and it seemed fitting to use the same service which helped us grow to showcase all that Augeo has to offer,” he continued. The name Augeo is a Latin verb meaning ‘to increase, enlarge or augment’, a claim which the system believes, it is capable of demonstrating, following early trials on behalf of clients. In trials recorded by the company, one ecommerce customer of UKNetWeb using the Augeo framework saw an increase in trade of 200%, and a second saw an increase in monthly turnover of £200k per month. Augeo provides an ideal ecommerce solution when a business needs to go further than Magento. It does this through having a simplified database structure built around exactly what a site needs, as opposed to including many features that are not required and complicate the process of programming more complexities into a site. Augeo sites have between 30 and 70 database tables depending upon required functionality compared to the 200+ tables in a standard Magento installation. Augeo does require more technical programming skills to set up (than the wizard driven Magento) but when more unique functionality is needed it’s simpler to extend. I wonder how it compares with the latest king of ecommerce solutions, Magento?